Over the years, there have been records of family heritage being handed down from generation to generation such as the monarchy of the United Kingdom. Several families have also made their marks in different professions like Sports (the Williams sisters), Business (the Walton family), Politics (the Bush family) and even in crime (the Bloody Benders). Unsurprisingly, there are other families that can boast of having several celebrities in the entertainment industry. The surprising thing is that most people have no idea that the celebrities are related. These celebrity siblings range from those dominating the movie industry to those thriving in the music space and what have you. Followus as we reveal 10 of these “unknown” famous celebrity siblings. Lovers of the popular American fantasy drama, Game of Thrones, will no doubt know Alfie Allen who played the character of Theon Greyjoy, Lord Stark’s ward. What you just might not know is that he is the younger brother of Lily Allen, the English singer, TV presenter and songwriter. Their family seems to be made for entertainment though as the siblings’ dad is popular actor, Keith Allen, and their mum is a well-known film producer called Alison Owen. Sam Smith, the phenomenal British singer also happens to be their third cousin. Lily Allen’s musical career has seen her earn no fewer than 69 nominations for various prestigious awards out of which she won 30, including the BRIT Awards under the British Female Solo Artist in 2010 and two Glamour Women of the Year Awards which she first won in 2008 and again in 2010. Her debut studio album (Alright, Still) was nominated for Grammy’s Best Alternative Music Album in 2008. The musician was named Lily Rose Beatrice Cooper after she was birthed on the 2nd of May, 1985. Like her big sister, Alfie has been faring well in his acting career. Born on September 12, 1986, he kicked off his journey to fame in 1998 and was rewarded with Empire’s Hero Award in 2015. Considering the fame Alfie and Lily have both acquired from their respective careers, and the relatives they share in the entertainment industry, one can only wonder why a good number of people are not aware that these guys are celebrity siblings. Isaac Liev Schreiber is many things. He is a multiple award-winning American actor, producer, screenwriter, and director. He is also very popular for his role as Victor Creed in X-Men Origins: Wolverine, the 2009 American film based on a Marvel Comics (Wolverine). You surely know all that, don’t you? 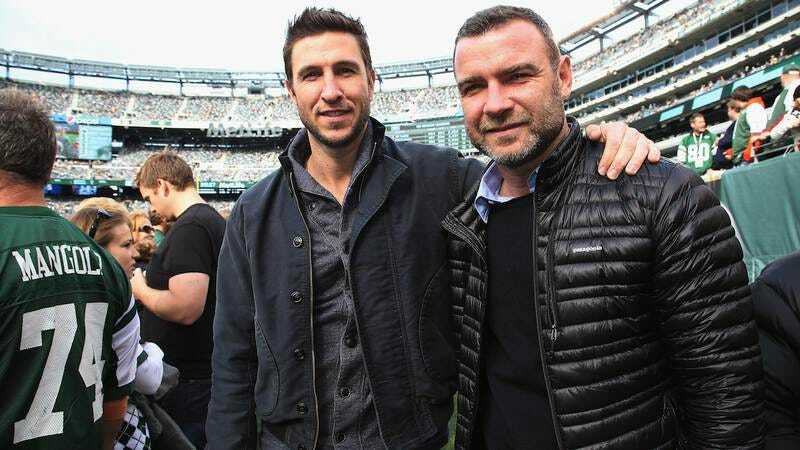 But do you know that he is a half-brother (both have the same father) to the Orange is the New Black cast member, Pablo Schreiber? Yes, the guy who acted as George ‘Pornstache’ Mendez in seasons 1-3 and some episodes in season 5? Well, now you know! 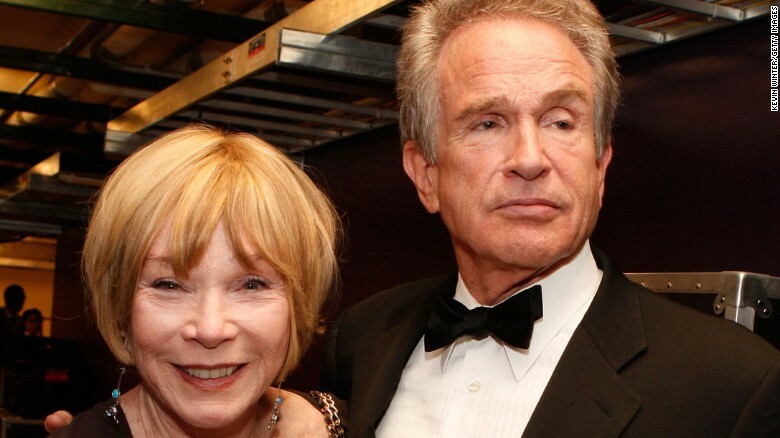 Henry Warren Beatty is an octogenarian movie superstar. He is known for his acting, screenwriting, directing, and producing prowess. His elder sister is also a well-known film icon as well as a singer, activist, writer, and dancer. She is none other than Shirley MacLaine, and yes, she’s very much alive. The next time you think of sister goals, think Blake Ellender Lively and Robyn Elaine Lively (Teen Witch star). Although they were born 15 years apart, Blake looks up to her elder half-sister and the duo are true friends. Looking at the career attainments of these Lively sisters, it would be easy for one to assert that Blake is the most successful but the Gossip Girl star would most likely frown at this as she has always named Robyn as a major source of her inspiration. As such, it’s quite a wonder to come across people who don’t know that they are celebrity siblings. Interestingly, Robyn has two siblings (Lori Lively and Jason Lively) and another half-brother, Eric Lively. They all have spots in the movie industry just like her mom, Elaine Lively, and husband, Bart Johnson. Everyone knows ‘He-Who-Must-Not-Be-Named’ in the J.K Rowling novel based film series, Harry Potter. The really dark role was played by the English actor, director, and producer, Ralph Nathaniel Twisleton-Wykeham-Fiennes. Does everyone know that Lord Voldemort (oops!) Ralph has four other celebrity siblings? There’s Magnus Hubert Twisleton-Wykeham-Fiennes, an English songwriter, record producer, and composer. Then there are Sophie Victoria Twisleton-Wykeham-Fiennes, a film producer and director; Martha Maria Twisleton-Wykeham-Fiennes, also a film director, producer, and writer; and Joseph Alberic Twisleton-Wykeham-Fiennes, a popular stage and movie actor. Their father was a popular English illustrator and photographer called Mark Twistleton-Wykeham-Fiennes. Just so you know, Martha’s son, Hero Beauregard Fiennes-Tiffin is also an actor. This is definitely a celebrity family! Yaaaay, Captain America has a brother! Did you know that? 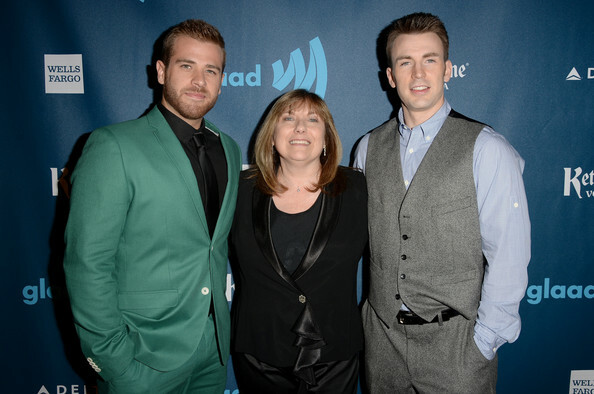 Well, technically Chris Evans is the one who has a brother named Scott Evans but Chris is Captain America and Captain America is Chris. Okay, yeah Chris Evans is other things too like Human Torch in the 2005 movie, Fantastic Four but the gist here is that he has a sibling who is a celebrity. Their sisters are Shanna Evans and Carly Evans. While it is known that Carly, born on 15th September 1978, is the oldest of the celebrity siblings and that she portrayed Mary Connelly in the tv series, The Bill; Shanna is only known as the other sister of the celebrities. The pretty septuagenarian American actress, Bonnie Bedelia (Culkin) has three siblings – a sister and two brothers. One of her brothers is Kit Culkin who is equally a septuagenarian actor. Kit is more popular for being the father of his celebrity children than for his acting career. His son Macaulay Culkin is well known as the Home Alone star, Kelvin McCallister. His other son, Kieran Kyle Culkin acted alongside Mac in the Home Alone franchise. Undoubtedly, the brothers are among the famous celebrity siblings, this fact is known to many, what isn’t a common knowledge is that they are now as much a celebrity as their younger brother Rory Culkin. Born on the 21st of July and in the year 1989, Rory Hugh Culkin commenced his acting career as a kid, playing the younger versions of his brothers’ characters. His big break came after he played Rudy Prescott in the 2000’s drama film, You Can Count on Me. The role earned him the Young Artist Award for Best Performance in a Feature Film. Unlike Rory, his younger brother, Kieran hasn’t been able to bag the Young Artist Award even though he has been twice nominated for it. Nonetheless, the actor, birthed on September 30, 1982, can boast of other fine accolades including the Broadcast Film Critics Association Award for Best Young Performer and the Satellite Award for Best Actor in Motion Picture Musical or Comedy. Meanwhile, he earned a Golden Globe nomination for his role in Igby Goes Down. Beyond acting, their big brother Macaulay Carson Culkin is equally known for his musical efforts. This Culkin was born on the 26th of August 1980 and like his brothers, he has been decorated with a handful of various coveted accolades for his acting endeavors. This includes being nominated four-times for the Stinkers Bad Movie Awards under the Worst Actor category. Albert Einstein is a septuagenarian American movie personality known popularly as Albert Lawrence Brooks. He changed his name to Brooks to avoid the confusion you faced when you read Albert Einstein. You might be unaware but he is the brother of Bob Einstein (born Stewart Robert Einstein) who is also a well-known actor, producer, and writer. The brothers are really known as comedy lords and had an older, famous half-brother who was a sportswriter and newspaperman named Charles Einstein (he died at age 81 in 2007). Their father was Harry Einstein, the deceased popular stand-up Comedian. Well, these two ladies aren’t exactly siblings but they are no doubt cousins and celebrities. Melissa McCarthy is one very popular comedy actor who was given a chance on screen by her younger though now less popular cousin, Jenny McCarthy. Several persons have wondered why we have chins and studies have even been carried out. Well, chins are definitely useful if they can be used to identify Virginia Madsen and Michael Madsen as brother and sister. These two actors definitely have a lot of successes attached to their names. More than being an actor, Michael, the older of the celebrity siblings is equally admired for being a fine poet, photographer, producer, and director. He was born on 25th September 1957. His sister Virginia was also born in September but on 11th and in the year 1961. Her robust acting profile has been rewarded with numerous awards. She received about a score of a variety of awards for being Maya Randall in 2004’s black comedy-drama film, Sideways. You thought you knew all the celebrity siblings right? Now, you know a few more.